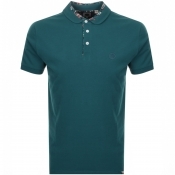 Mens Pretty Green At Mainline Menswear. 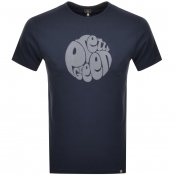 Pretty Green, named after a track by The Jam, was founded in 2009 by Liam Gallagher. 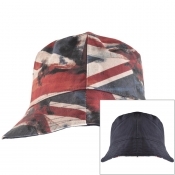 The brand is the singers straight talking clothing label with his taste evident in their lines, being hugely influenced by the fashion of the late 1960s and the styles of The Beatles, The Stones and The Kinks. 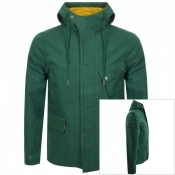 What Pretty Green Has To OfferThe trademark Pretty Green parkas, polo shirts, t shirts and shirts all feature thebrands original logo on, with jeans, chinos, shorts and desert boots tocomplete the look, which all have a certain Gallagher-esque quality. 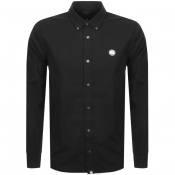 Feel star worthy in Mainline Menswear collection of Pretty Green clothing, from t shirts to socks, we have you covered.